Frees sticky mechanisms: Lubricates and un-jams door locks, sewing machines, zippers, typewriter keys, controls, linkage and cables. Widely applied to the precision instruments, contacting points of electronic appliances, steel accessories and high sensing elements etc. Stop Squeaks: Penetrates and lubricates hinges, springs, castors, windows, handles, pedals and office chairs. Loosens rusted parts: Penetrates and loosens rusted, corroded and seized nuts, bolts, controls, cables and fasteners. 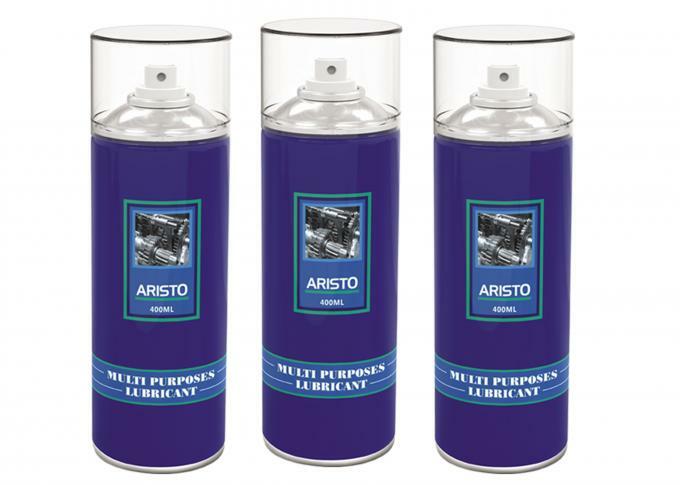 Drives out moisture: Drives out water on metal surfaces, like electrical contacts, car ignitions, motorcycle engines, outboard motors and tools. Clean & Protects: Dissolves grease, tar, gum, adhesive, crayon marks, loosens hard water deposits, leaves protective film against rust and corrosion on bikes, chrome parts, motorcycles, outboard motors and tools. High extrusion rate and eliminate waste. Environmental formula: No clog, no chlorinated solvents, no toluene, no xylene, CFC and lead free. Gear: Large gear equipments choose lubricant through teeth hardness and teeth load. Small gear machines could choose middle load lubricant. Lock: Low viscosity, non-stick dust, lubricate precision instruments like lock. Plastic: Overcome the weakness of traditional silicone oil as plastic lubricant. Contact of appliance equipment: Cleaning, care and maintenance of switch, relay, electronic ignition system, socket etc. Safe to use on painted plastic, rubber and metal surface. Displace moisture to improve conductivity of electrics and start wet engines. Remove and prevent rust from reforming.